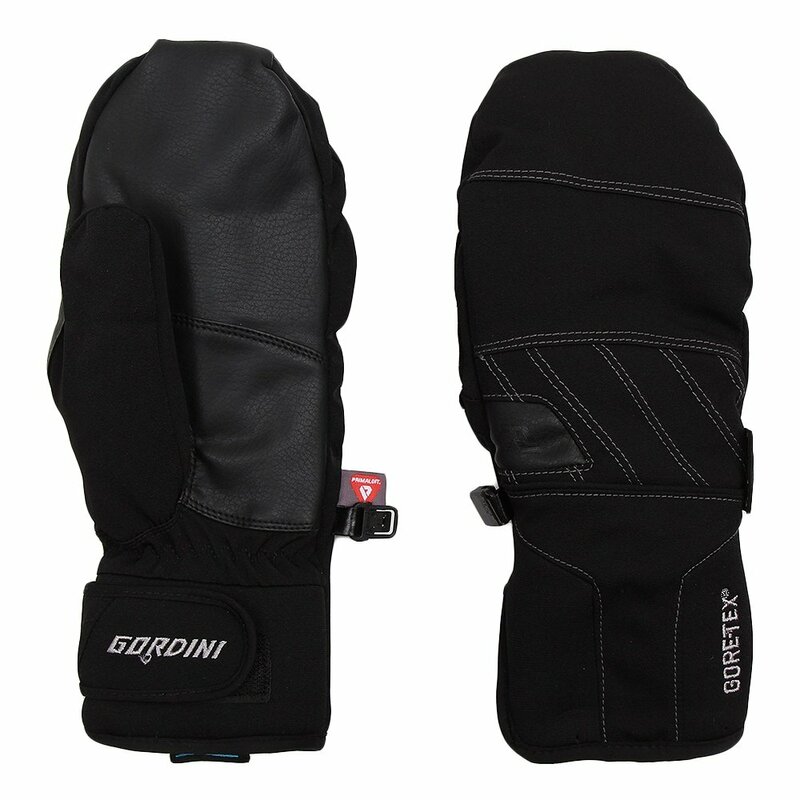 Gordini's Challenge XIV Ski Mitt has warmth that doesn't waver. It keeps your bundled body heat in with toasty PrimaLoft® insulation. The GORE-TEX® insert delivers on the Guaranteed To Keep You Dry® promise. This mitt's stretch fabric shell and neoprene cuff make for a low profile fit that slides easily under your jacket cuff. Slap the Velcro® on that jacket shut and you have a weatherproof barrier to the fingertips. Fabulous quality. Love the white stitching detail. I had to go for the Large because I have long fingers and the Medium was too short and tight around the bottom of my hand/wrist.